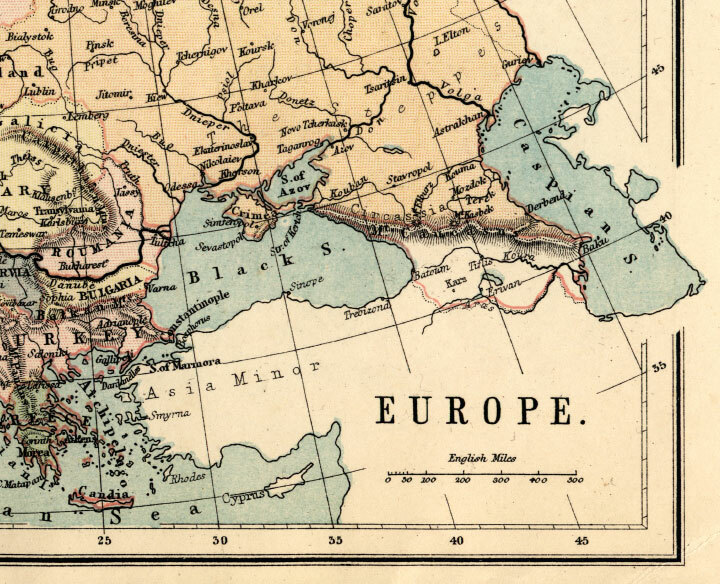 An old 19th century map of Europe, with foxing and spotting. 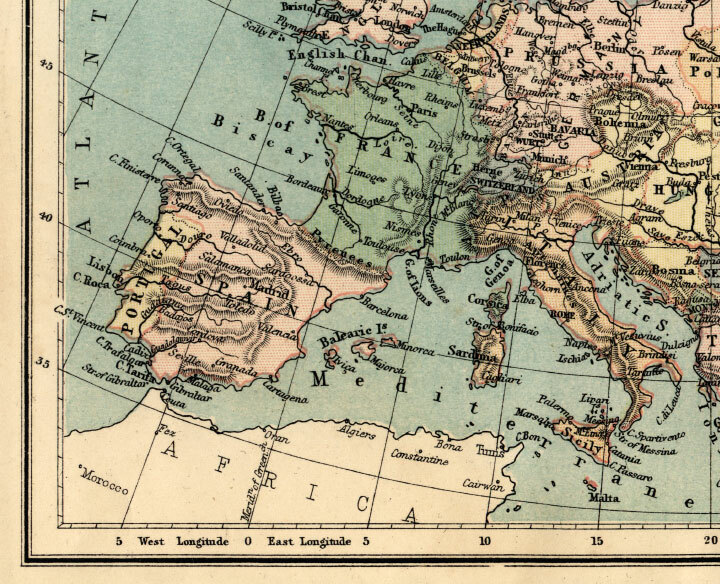 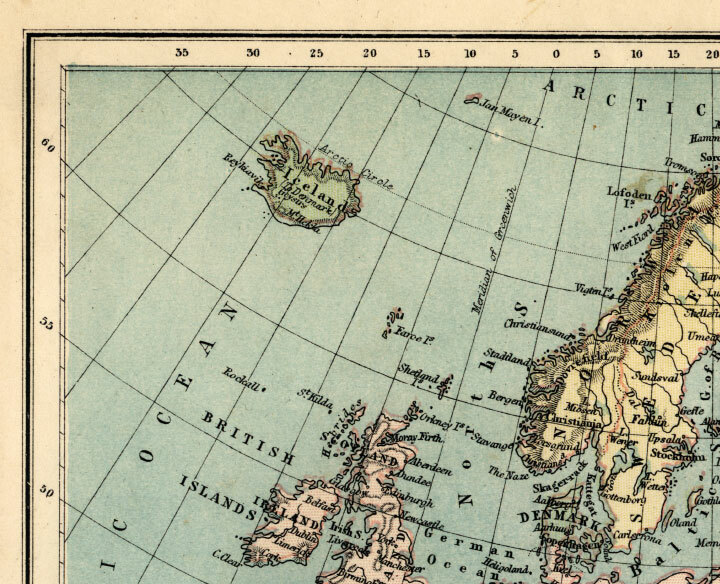 This vintage Europe map comes from an atlas published in the 19th century. 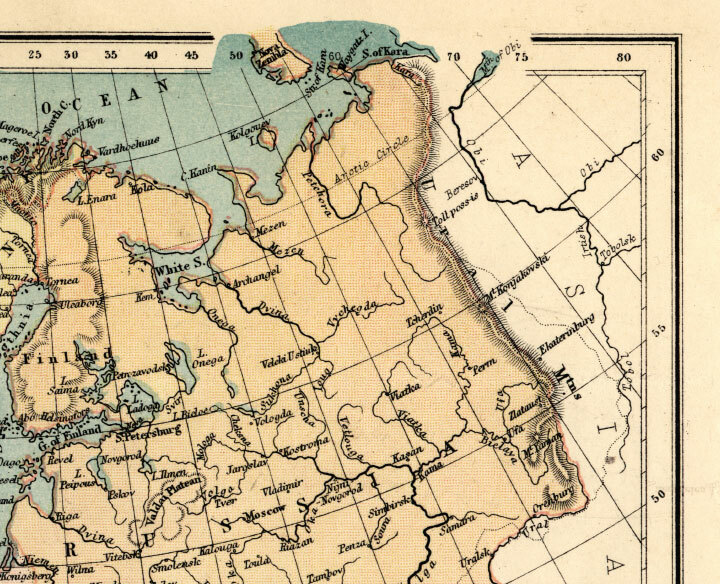 Each quadrant of the map can be printed separately on letter size paper.